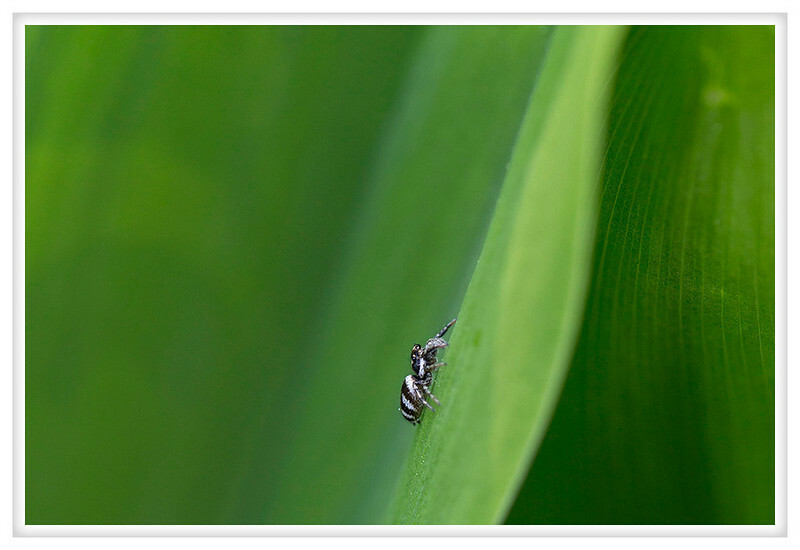 I found this little spider as I was examining some lilies of the valley. Out of the corner of my eye I caught some movement and, leaping from leaf to leaf, there was this tiny spider. He is about the size of half a grain of rice and he wasn't the most cooperative subject but I like the swirl of green in the leaves so I decided to share his portrait in the wider view.